Happy Thanksgiving from St. John. We have had a rainy fall. Cisterns are overflowing and the island is as lush and green as we have ever seen it. As we celebrate seventeen years in business and head into the holiday season we are seeing more and more familiar returning faces and names. We are very thankful to all who have supported us over the years and look forward to another great season at St. John Spice. We know that there are many choices for shopping on St. John and we greatly appreciate the fact that so many of you return to our store year after year, both in person and online. Today the sun was shining and I took a walk around our little neighborhood where it seems that Cruz Bay lately is continually balancing old and new. The new owner of neighboring Wharfside Village is Joe DeCourcy of and . Joe is undertaking an ambitious and overdue revitalization of Wharfside which will probably take a full year to complete. The project has already begun on the street side with all new tile work in progress and new exterior finishes on the building facades. We expect that the look and feel of the mall will change and that it will eventually be more like it was when we first started our business there in 1999. With new lighting and landscaping, we expect a higher-end Caribbean elegance in the ambiance and presentation. All businesses will remain accessible during the renovation, so be sure to persist through any temporary detours and support them. Paul Tsakeres' wine store will be moving into our old location (for those of you who remember that far back) and the reopening of a little café there should be energizing for our old corner and the mall entrance. On the beach side, the changes to Cruz Bay Beach over the past few years have been remarkable. The beach is clean and free of broken boats and dinghies and several restaurants have tables and chairs available. People do swim there and the local businesses and the charter boat companies are working together to make charter boat pickup and drop-off safe for those who wish to swim and enjoy the beach and the water. We expect to see more improvement here in the heart of Cruz Bay. In the old and new department, another trend that we have noticed recently is that people who were babies when we first started our business have somehow become adults who own and/or operate businesses. Chelsea Meyer grew up on St. John and she and her husband Richard Bearnowski have taken over ownership of . They are running the show with Chef Ben Whitman while parents and former Lime Inn owners Chris and Rich Meyer stay home and stay youthful by taking care of Chelsea and Richard's two small children. The Lime Inn has new menu items as well as many of our old favorites and we wish them continued success for many more years. At restaurant, Jake isn't quite old enough to actually run the show, but his parents Shaun and Carl Stevenson announced today that the restaurant known for great breakfasts and lunches will be opening this season for dinner. This venture is the brain child of Chef Michael Vargas, who was at Caneel Bay for eight years. Michael's night-time menu will feature local contemporary fusion cuisine and will open on November 28th. For information and reservations, call Jake's at 340-777-7115.
restaurant (in the former J.J.'s location) has been around for a few years now and has become a Cruz Bay mainstay. Restaurant now serves breakfast and has taken over the space on the street side as "The Dock", as great spot for coffee, drinks or a quick to-go breakfast taco or sandwich for the beach or travel day. has very recent new owners, Reed and Sherry Compton, a couple from Alabama with restaurant experience who plan to keep the Beach Bar pretty much the same. On the East End, we were sad to learn that Miss Vie has retired and will not be re-opening Vie's Snack Shack this year. The restaurant formerly known as Virgin Fire in Mongoose Junction is now . 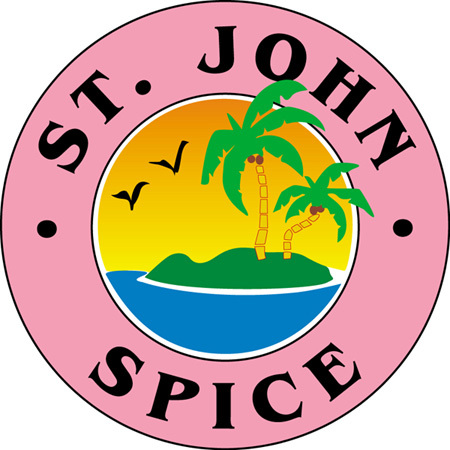 Here at St. John Spice we also strive to balance traditions of the old with new. We often have to bring bad news to customers when products such as the Miss Anna's line of hot sauces are discontinued. We try to make up for these disappointments by searching for new products to compliment the well-loved and tested items we have always carried. Our new manager, Jenny Krampf has brought a fresh new perspective to some of our product lines and we are very grateful to her and the others on our friendly staff for their input. Happy Holidays to all and we hope to see you soon on St. John.